Costa Mesa, California — The first on-campus student housing project at Orange Coast College (OCC) is set to break ground on Thursday October 4th, 2018 in Costa Mesa, CA. The 814-bed development will include a site plan design that revolves around campus connectivity and accessibility for the broader OCC student population. “We are very pleased with this partnership between Servitas and OCC. 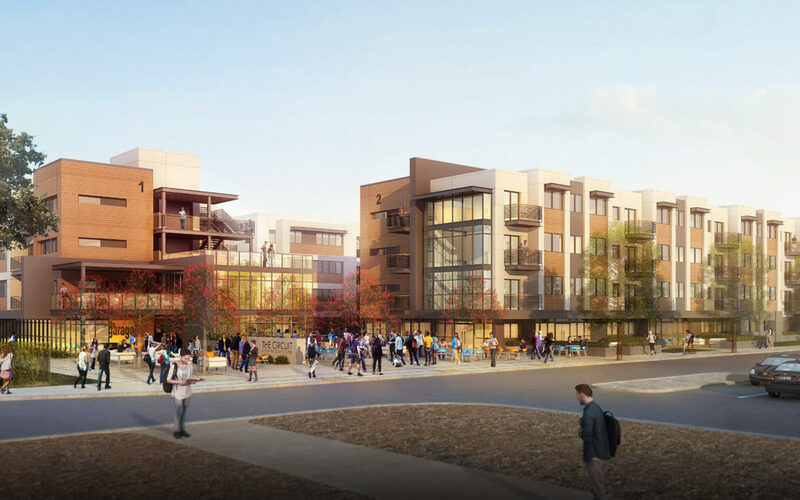 It offers a student a cost efficient and convenient housing community that integrates seamlessly with the campus and offers affordable housing that will be accessible to a wide variety of students,” said Angel Rivera, Vice President of Real Estate Development at Servitas. The project site is on campus land, structured around a ground lease, by a public-private partnership (P3) with National Campus and Community Development Corporation, a 501(c)(3) entity (NCCD). This structure allows for tax-exempt debt financing with no recourse to the College, district, or taxpayers. Between the residential community’s smart design and low-cost financing, on-campus residents will enjoy lower rates than other rents in the tight Costa Mesa housing market. “Due to the high visibility of this historic project within the state of California, it will serve as guidance to other colleges looking to add on-campus student housing,” said Blair Tavenner, Senior Vice President and Director of the Dallas Regional Office for Servitas. The apartment-style residence hall is expected to open in August 2020, offering students an affordable housing solution that will enhance learning outcomes through social interactions and on-campus living. Rich Pagel, Vice President of Administrative Services at Orange Costal College, is ready and excited for construction to begin. “We are thrilled to start construction and look forward to seeing the project design come to life for our OCC Students. I look forward to working with our housing partners to bring a great housing for our students,” said Pagel after the over-subscribed closing of the project. In thanking the team, Pagel acknowledged student housing developer Servitas, HPI Architecture in Newport Beach, MVE + Partners in Irvine for design, Moss & Associates (construction), Scion (management), George K. Baum (financing), Brailsford & Dunlavey as consultants to the Coastal Community College District, and the National Campus and Community Development Corp.
Servitas is a nationwide student housing development firm that provides a full suite of services to college and university clients. We are your one partner that offers unlimited solutions to reach client goals.